At the last count, there were more than 10 persons vying for the governorship seat of Lagos in the 2019 elections. The candidates included the likes of: Adebisi Ogunsanya (YPP), Omolara Adesanya (PPC), Muyiwa Fafowora (ADC), Babatunde Gbadamosi (ADP), Jimi Agbaje (PDP), Jide Sanwoolu (APC), Funsho Awe (NCP), Oluyinka Oyeniji (ANN), Owolabi Salis (AD), Abiodun Dabiri (ANRP). Of the aspirants mentioned, the AD, ADC, ADP, and PDP appear to be the ones pulling their weight the most and of the four, only one appears to be giving the government of the day sleepless nights. Little wonder all daggers are drawn against him and all arrows from the party in government are fired in his direction. It is, therefore, safe to conclude that Agbaje is a thorn in APCs flesh. Once upon a time, someone equated himself to Lagos and Lagos to himself. In a manner akin to God owning the land and all that is in it, he was reported to have said, Eko felo sun (Lagos is going bed). With such a statement and with Agbajes bold and unrelenting attempt to free Lagos from the clutches of such a modern day Pharaoh and Philistine, it has since dawned on Eko that Eko has murdered sleep. In an attempt to disparage Agbaje, belittle him in the mind and view of the electorate and decapitate him and his platform, nothing has been spared in the attempt to make the race to Alausa a one-man race. State machinery, like LASAA, has been deployed. The media war is being waged, with articles from faceless and nameless people sponsored. Agbaje is the subject and topic of discourse in the Lagos APC camp. They sneer and jeer that he is their customer. And in a deft clap-back, Agbaje replied that the customer is king. He has trudged on, selling his message of freedom to the people and is now the customer they are afraid of. In all of this, those who ought to be men have cowered and sold their birthrights to the lord of their Manor where all animals are equal but some are more equal than the others. An imaginary sword of Damocles dangles over their head and they cannot speak like men of their age and form. Most of them have tucked their tails in between their legs. Some have had their political ambition stalemated so they grumble and mumble, but fumble they must not; because they mortgaged their life and existent for political relevance. Across the length and breadth of the state, some have had their mandates withdrawn or they have been told to wait for their turn. Such waiting is at the behest of the one who equates himself with Lagos. Most of them have dined and wined with their political benefactor and can therefore not muster the boldness to speak truth to him. Some of these lily-livered men have been commissioners, special advisers, senators, local government chairmen, party leaders, contractors, etc. They are those that Patrick Obahiagbon once referred to as political halleluyah boys they sing the praises of their puppeteer just so that they can continue to live and not just exist even though they wish he were dead. On Agbajes part, an apt theme freedom rallies supporters. And the clarion call resonates, doing well to keep the mind of Lagosians probing and asking questions about their commonwealth and other issues Lagos IGR, the Lagos Metro line, toll gates, the budget of the state, stoppage of domestication of Freedom of Information Act, BRT, Waste management and the impropriety of having a private entity as the primary custodian of the resources of the state. 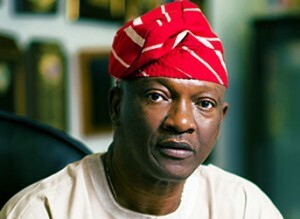 Agbaje has continued to turn the attention of Lagosians to real issues. His campaign has unsettled the APC and he who thinks he is Eko can no longer sleep. All those who live, work and do business in Lagos are the real Eko and they have resolved to make Lagos work for all and not a few. The people of Lagos have resolved to make it the peoples Lagos and not one mans Lagos.